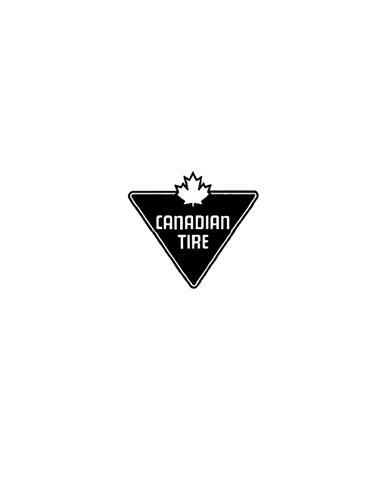 On Monday, July 21, 2003, a canadian trademark registration was filed for the above pictured logo by CANADIAN TIRE CORPORATION, LIM 2180 YONGE STREET, TORONTO, ONTARIO, CANADA M4P2V8. The Canadian IP office has given the trademark application number of 1183772. The current status of this trademark filing is Registration published. The correspondent listed for is CASSELS BROCK & BLACKWELL LLP of SCOTIA PLAZA, SUITE 2100, 40 KING STREET WEST, ONTARIO, CANADA M5H3C2 The trademark is filed in the description of Providing insurance services of others, namely life insurance, home and auto insurance , Providing insurance services of others, namely accidental death and dismemberment insurance; providing insurance products of others to indemnify customers against inability to pay charge account balances , Providing extended warranties of others on products sold through credit cards , Providing extended warranty programs of others on products . Mark Disclaimer: The right to the exclusive use of the eleven-pointed maple leaf and the word CANADIAN is disclaimed apart from the trade-mark.